Global Campaign for Education-US | Every child has a right to quality education. Every child has a right to quality education. Donate here to help children & youth around the world today! Friend: Thank you for supporting quality education for all! Advocate: Your support is making quality education accessible for children & youth around the world. Superstar: Thank you for giving so generously to support education for vulnerable children & youth! Champion: Thank you for championing education for children & youth around the world! Inspiration: Thank you for supporting quality education for all! Please share your giving story with your friends and loved ones. 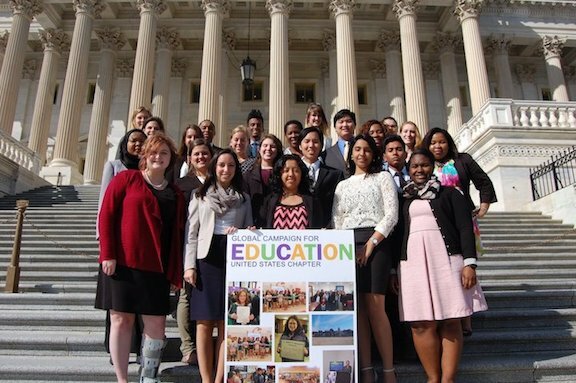 Visionary: Your gift will support youth leaders and education for all! Please share your giving story with your friends and loved ones. Donate 100% - Add 3% so that 100% of the donation goes to Global Campaign for Education-US. Global Campaign for Education-US has partnered with Network for Good to securely process your online credit card payment via Network for Good (tax ID 68-0480736). This transaction will appear on your credit card statement as "Network for Good." This transaction is subject to Network for Good’s Privacy, Security & Disclosure Statement and the Charitable Solicitation Disclosure.